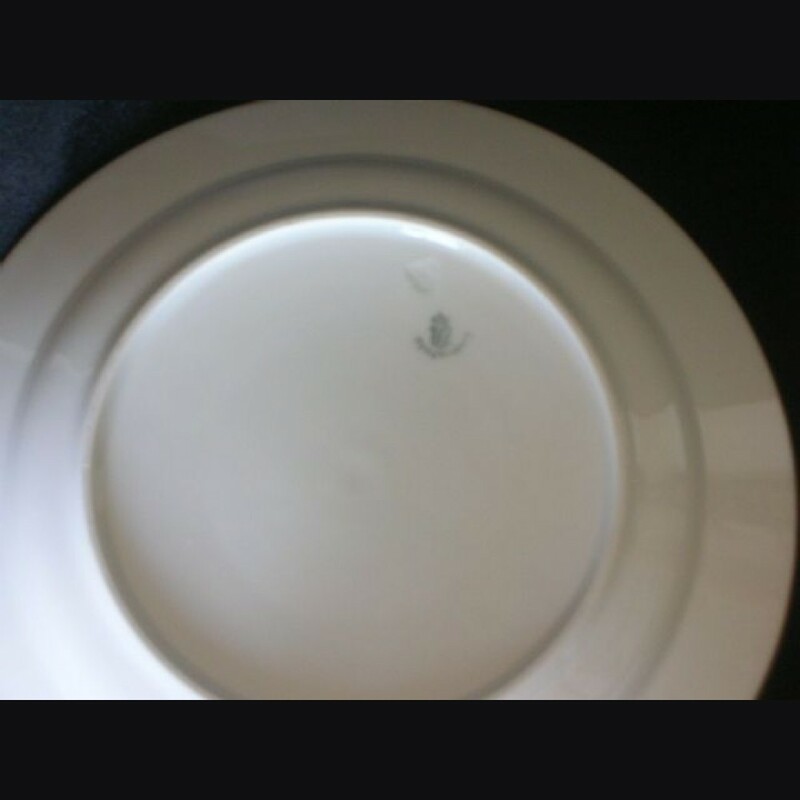 Full sized dinner plate approx 9 1/2 inches in diameter. Adolf Hitler loved Meissen "Red Dragon" and most photos show him using it and there are not too many legitimate pieces used by him that are original or attributable. 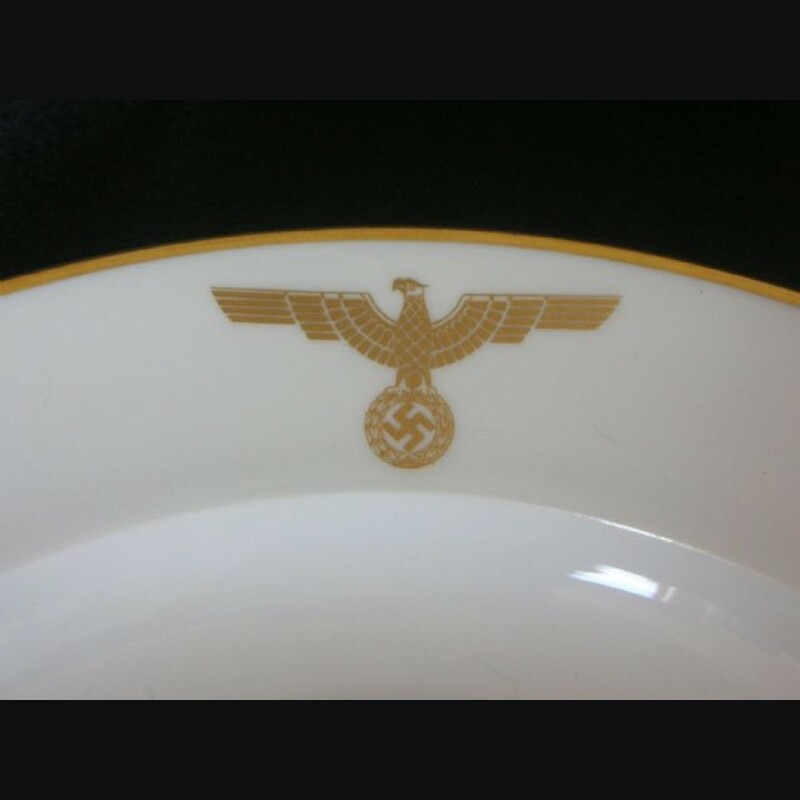 The firm of Nymphenburg did however manufacture the dinnerware for Hitler's train and what must have been small settings for various locations. The Reichsbahn pieces often a car # which allows for identification of who's car in particular the set was allotted to and bear the typical DR logo under the wings and is fairly common or at least encountered more frequently. Pattern is the same with the exception of the Deutsches Reichsbahn DR initials and I think its the first I have had. Featured in Tom Johnson's hardcover "German War Booty" 304-305 the pattern is shown with accompanying research with letter's from Traude Junge and Albert Speer as being from the Deutscher Hof and the Reichsbahn. The lack of the DR and the letters dating from 1977 and 1997 respectively have me guessing the Deutscher Hof as more likely.